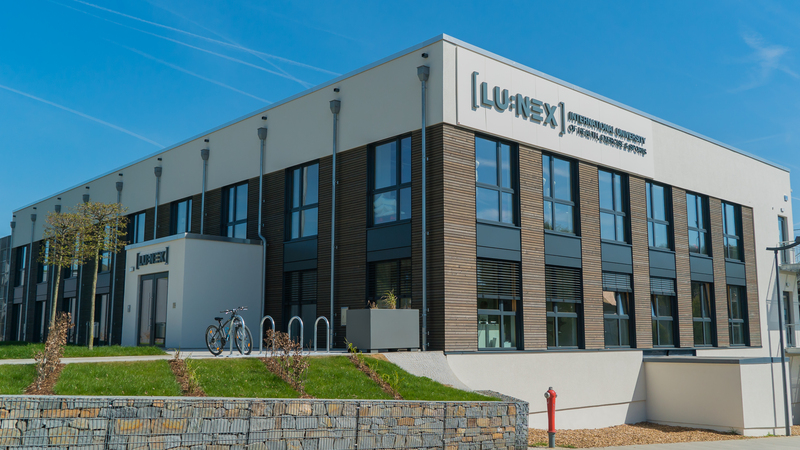 Based in Luxembourg, LUNEX University is a private school, which is specialized in the fields of sport, health, therapy and preventive medicine. As an internationally-oriented school, LUNEX offers study programmes recognized throughout Europe and perfectly adapted to the global market. Our programme portfolio is notable for its sustainability and social relevance and equips students with the new approaches and perspectives on the emerging fields of sports and health. Each study programme is taught 100% in English by an international academic team coming from institutions around the world. Through a combination of theoretical courses and hands-on experience, LUNEX students are trained to become experts and leaders in their field and to evolve in a globalized world. Today, LUNEX offers 3 Bachelor’s Degrees, which are accessible after at least 12 years of school education or equivalent prior education. These study programmes have been developed in accordance with the Bologna process for practical careers and professions throughout Europe and have been accredited by the Ministry of Higher Education and Research (MESR) in Luxembourg. Our programmes are divided into 2 distinct fields: health sciences on the one hand and management on the other. Physiotherapy B.Sc. prepares future graduates for the physiotherapist profession in order to improve individuals’ health. Exercise and Sports Science B.Sc. enables students to gain knowledge and hands-on experience of scientific principles relating to motor learning, physiology, nutrition, biomechanics or even psychology. International Sport Management B.A. offers knowledge and understanding of business management related to sports in order to give students all the required know-how to be able to work in the international environment surrounding sport organisations. In addition to our Bachelor’s Degrees, we have designed a preparatory semester called “Foundation Semester” with the aim of helping students to improve their English level and/or to reinforce their knowledge in sciences (including chemistry, physics and biology). Students can choose to start their studies with the Foundation Semester before pursuing our Physiotherapy (B.Sc.) or Exercise & Sports Science (B.Sc.). Moreover, LUNEX University foresees to expand its programme portfolio in order to offer its students Master’s Degree in a near future. Located in the heart of Europe, LUNEX has an ideal geographical location, which gives access to new markets worldwide and offers an interesting experts network. This includes sports organisations, clubs and federations or even training centres and therapeutic practices. As for our campus in Differdange (named European Sports City 2018), it is based a few meters from a stadium and sport facilities. In addition, the campus has been entirely renovated and is now equipped with state-of-the-art technologies as well as a modern and digital environment, which enable students to carry out all case studies and practical exercises optimally. At LUNEX, students have the opportunity to study in a unique learning environment. Indeed, the campus has been built instead of the old swimming-pool of Differdange and the pool structure have been transformed into an auditorium. In addition, all-weather running tracks have been designed on the floor to guide students to the different classrooms and relaxation areas are also available for students. Why study at LUNEX University? To apply for one of our programmes, you must have at least 12 years of school education or equivalent prior education. If you meet this requirement, you just have to fill in our online application form and to participate in one of our Application Days (Admission tests). There is no application deadline, it is possible to apply throughout the year. Be part of it! Be part of LUNEX! LUNEX University - Be part of it.